When we last checked in with Care by Volvo, it was a mess. Members of the much-anticipated Volvo subscription service—which for $600 includes a car, insurance and basic maintenance—reported cars that went undelivered, silence from customer service and one blown deadline after another. But now we know it was because Volvo didn’t have the right “paperwork” in place, of all things. The majority of cars that customers ordered months ago have been sitting in the Port of Baltimore while a “paperwork” issue was cleared up, a Volvo spokesperson told Jalopnik, where they’ve been sitting for weeks after being shipped over from the Volvo factory in Belgium. The spokesperson declined to elaborate on the nature of that paperwork issue. Since the problem was only recently resolved, customers should be receiving their XC40s as soon as trucks can make their way across the country from Maryland. The problem came down to varying legal, ownership and insurance requirements between all 50 states, the Volvo official told us. As such, Care by Volvo has taken months longer than the company originally anticipated to get off the ground. The spokesperson declined to elaborate on the details behind the reasons for the delay, though one customer that we spoke with said that a Volvo concierge had “mentioned something about the insurance” being the reason for the delay. In our previous story about the Care by Volvo program, another Volvo spokesperson denied that there was any issue with the program’s insurance, which is being provided by Liberty Mutual at the same flat rate for all customers through the program. Since our last story on Care by Volvo, we’ve spoken with more than a dozen would-be Care by Volvo subscribers. 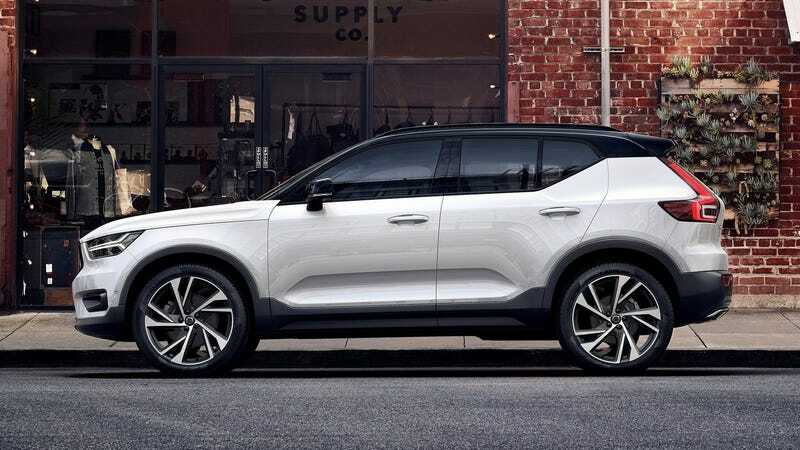 Some had ordered their Volvo XC40s back in January, and despite initially being assured of an April delivery date by the Volvo concierges acting as the main communications point between the company and customers, had still not received their cars as of this writing. “Now I have no definitive date of delivery, and it’s a month late,” the second customer said. “Communication has been pretty awful,” a third customer who wished to remain anonymous told us, though they did note that the company had given them a Volvo XC90 loaner in the interim. “We’re working really well with Liberty Mutual, we’re really working well with the states, it’s a matter of filing paperwork and waiting for things to come back,” the spokesperson said. Regardless, deliveries of Care by Volvo XC40s began last week, the spokesperson said. But that doesn’t mean it’s entirely smooth sailing for the program going forward. Volvo sold out its entire 2018 allotment for the XC40 through Care by Volvo in four months. The unexpected boom in popularity for the program means that if customers want an XC40 through the program now, “you won’t get your car until January 1st” at the earliest, the spokesperson said. “There’s a global shortage of XC40s right now,” they added. In the meantime, Volvo has tried to placate potentially disgruntled customers. “We recognize some people have gaps in their lease, and we’ve tried to cover that, we’ve been working with people on a case-by-case basis,” the spokesperson said. At least four of the prospective Care by Volvo customers we spoke with had canceled their orders, with one of those purchasing a Tesla Model S, another purchasing a Lexus, and a third replacing their Care by Volvo lease with a traditional Volvo XC40 lease through their dealer. “I love my new car, and I am happy to be out of the mess that is Care by Volvo,” the person who bought a Lexus told us in an email.